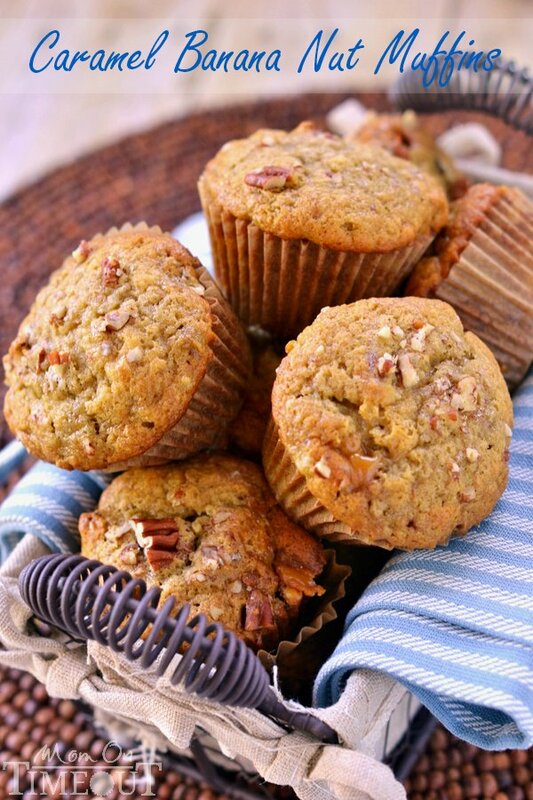 These Caramel Banana Nut Muffins are bound to be your new favorite breakfast treat! 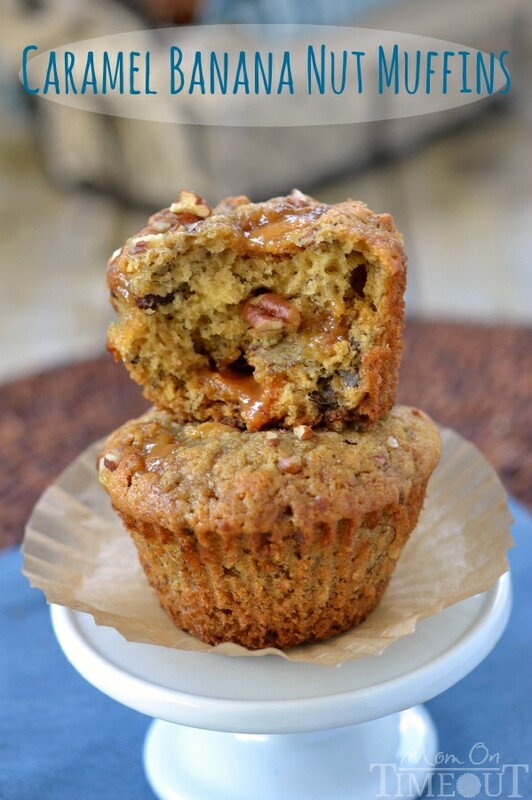 Pockets of sweet caramel make these muffins impossible to resist! The boys and I are still recovering from our whirlwind vacation this past weekend. Saturday was my birthday and we decided to head down to Southern California for a little birthday fun. We celebrated at Goofy’s Kitchen for my birthday dinner, tore up the town at Knott’s Berry Farm on Sunday and finished the weekend off at Disneyland on Monday. I don’t know that I’ll ever feel fully rested again, but, it was so SO worth it! Apparently one of the few things I bought before we left for our mini-vacation this past weekend was bananas. Lots of bananas. And now they are all perfectly ripe and ready for banana bread – or banana muffins as the case may be. Since it’s still in the 90s here in Sacramento (come on Fall! ), I didn’t feel like running the oven for the time necessary to make banana bread – so muffins it was! 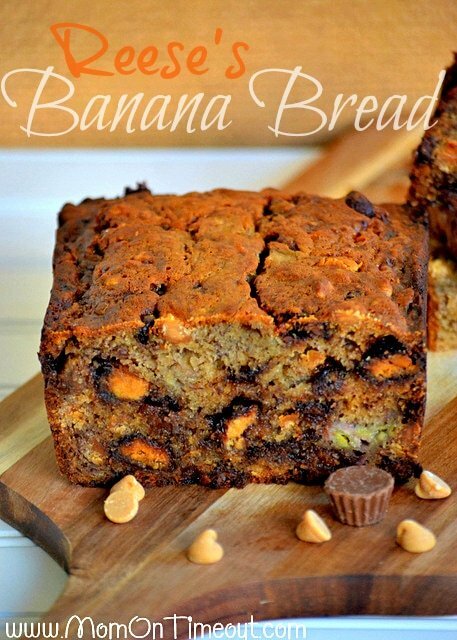 I took my favorite banana bread recipe, made a few modifications, added some caramel and voila! 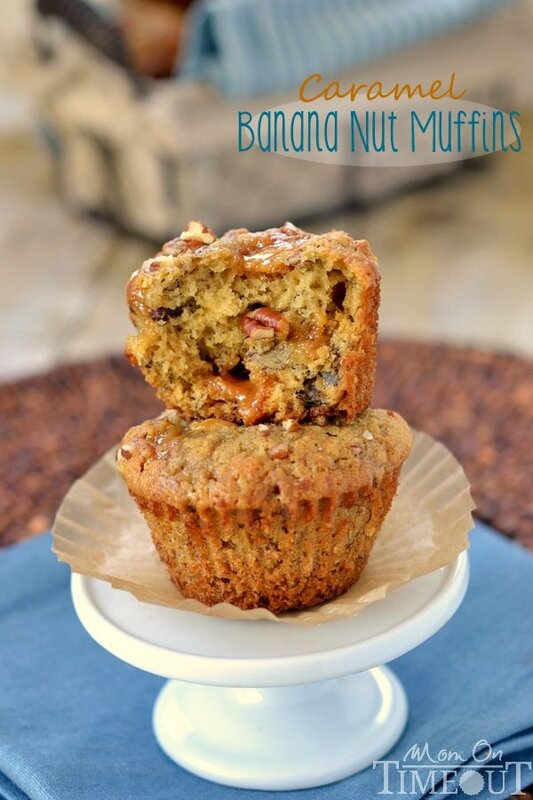 – Caramel Banana Nut Muffins; the boys new favorite way to enjoy bananas. The caramel was a stroke of genius. I apparently thought the production of caramels was going to cease soon and bought out the store. I seriously have bags and bags and bags of these things. Fortunately caramel apple season is on it’s way. I cut up the caramel squares into little pieces (about six per square) and folded it into the batter. The caramel creates these little pockets of ooey gooey creamy awesomeness that are hard to resist. We’ve devoured half of the muffins so far but I managed to put a few away for breakfast tomorrow – can’t wait! Line a muffin tin with cupcake liners or lightly grease. Stir in butter,brown sugar, egg and vanilla. Mix until well combined. Combine flour and remaining dry ingredients. Set aside 1 tablespoon of flour mixture. Add the dry ingredients and stir just until combined. Do not over mix. Bake for 20-22 minutes or until an inserted toothpick comes out clean. I just made these a few days ago and they were incredible! I posted them on my blog if you want to check it out ! 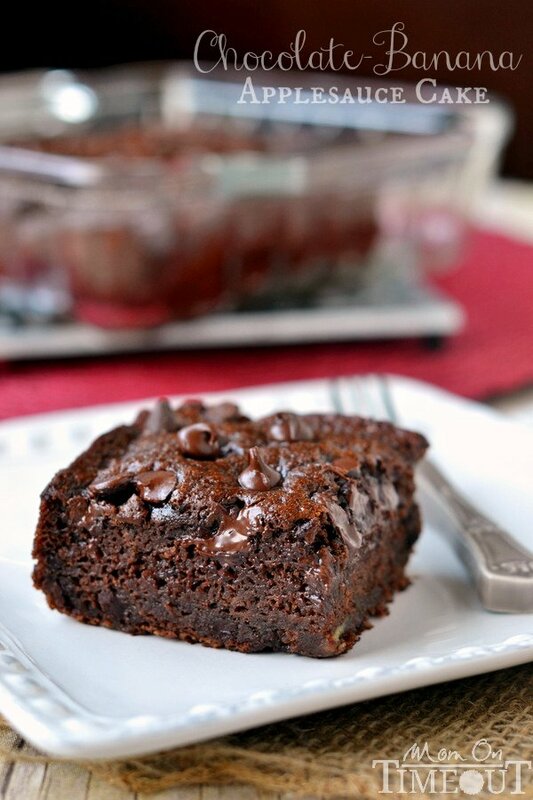 🙂 Amazing recipe! Fall cannot get here fast enough! I am beyond ready for some cooler (baking) weather! These muffins are such a genius idea. I love the combination of caramel and banana, but I’ve never thought to make caramel banana muffins. So smart! 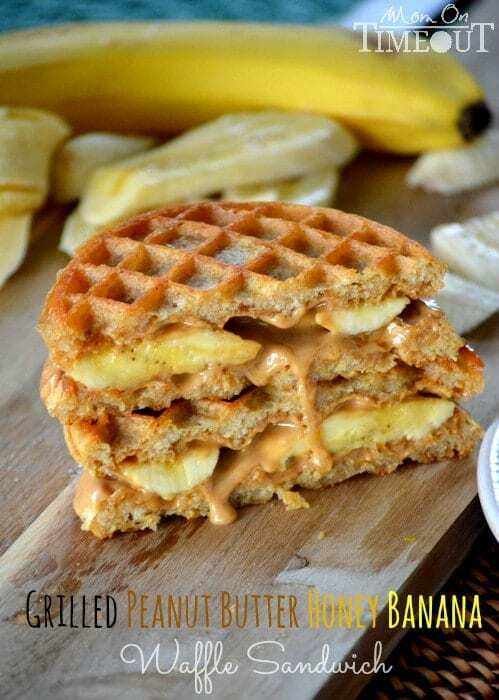 I know what I’m doing next time there are leftover bananas! Love the cut-up caramel. What a crazy whirlwind of a vacation! But it sounds like fun, even if you didn’t get any rest at all. When kids go back to school, parents can rest! Am I missing the nuts? These look tasty and easy to make, I know what you mean about putting on the oven, it’s hot here to in Southern California, Pinned! I can’t wait for the 70s and 80s Cathy! I am ready for summer to be over 🙂 Thanks so much for the pin!